Myoko Togakushi Renzan National Park was born on 27 March 2015 as the 32nd national park in Japan. 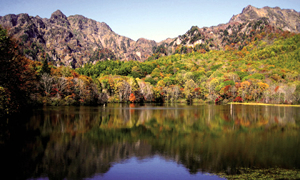 The park is located in the skirts of the mountains on the border of Niigata prefecture and Nagano prefecture stretching from 500m to 2,400m in elevation. The park consists of highlands and lakes. The new park was a part of Joshin'etsu Kogen National Park. 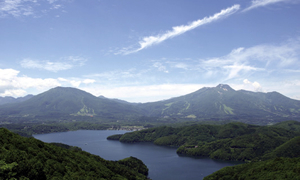 Joshin'etsu Kogen National Park is recognized that it has two areas: the western area and the eastern area. While the eastern part is characterized with the scenery of volcanic highlands, the western area, Myoko Togakushi Renzan National Park, is characterized with the scenery of dense mountains including volcanic mountains. This difference is the reason for the birth of the new national park. We will continue to maintain the national parks properly with a close cooperation with all concerned sharing common objectives, and we will keep the parks more attractive. We are going to hold a variety of events for the new park this year, so please visit and enjoy our new park.